One of our favorite parts of the wedding day is when we get to shoot the gorgeous bridal details! That includes the rings, the bride’s jewelry, her garter, shoes, perfume, and of course, the invitation suite! The invitation suite is the first wedding day detail that guests see when they receive it in the mail, and it sets the tone for the wedding day! It can tell a lot about the couple and their personalities, and of course, it can tie in details and tell the color story of the wedding day! One place that features beautiful custom invitations is Basic Invite! We’ve put together a few reasons why Basic Invite is a great place to look for that wedding invitation to perfectly fit your wedding day design! Free Wedding Websites – Basic Invite’s all-new wedding websites are completely customizable just like Basic Invite’s wedding invitations! These wedding websites are mobile friendly and super easy to use. You can instantly upload all of your wedding details along with images and a map with directions which is super convenient for your guests. Choose from 180 custom colors and even choose a design to match your wedding invitation suite! Over 900 Wedding Invitation Sets – Each of Basic Invite’s wedding invitations is part of a set. You can find everything from save the dates to wedding invitations and enclosure cards, wedding menus, wedding programs and even matching thank you cards! And of course, Christmas is coming and it will be here before we know it! Basic Invite also offers tons of custom Christmas wedding invites and photo Christmas cards like the ones you see in this post! AND, they’re also offering 15% off everything through the end of the month! 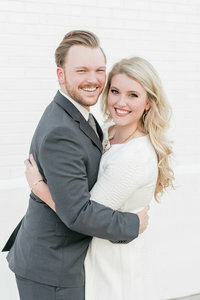 Visit them at www.basicinvite.com and on Instagram, Facebook, Pinterest and Twitter!